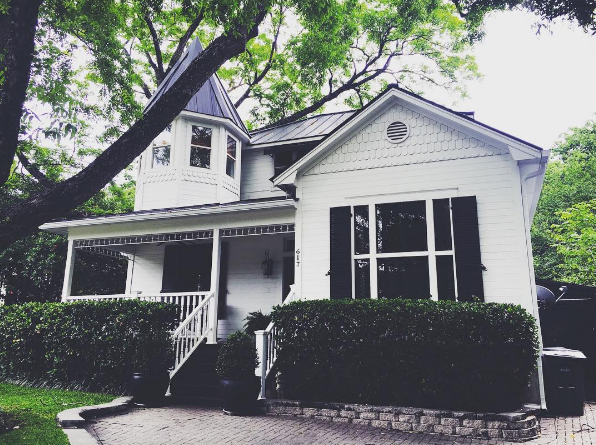 5 misconceptions of buying a house in Austin. Debunked: But how much is enough? Today, 40% of buyers put down less than 10% and many put down as little as 3%. I’m not suggesting this is the right path for you, it’s just good to know you have options. There may be ways to make it work for you that actually makes sense financially. Start playing around with mortgage calculators to get a better understanding of what makes up a monthly payment (there is a mortgage calculator built into each active listing on my website). Also, your lender can show you what your monthly payments will look like, if you put down 6% vs. 10% vs. 20%. When I was growing up, my dad always told me it was best to have no less than a 20% down payment. His argument was he didn’t want to pay PMI (Private Mortgage Insurance). That cost is typically 0.5 to 1.0% of the loan amount and is charged to a buyer who puts less than 20% down on their home. The rate will depend on how good your credit score is and how much your down payment is. So, if your loan amount was $100,000, meaning you’re borrowing $100,000, you would pay at most $1,000 a year extra, for PMI, if you put less than 20% for a down payment. BUT consider your own situation. Do you want to tie up that much money—a 20% down payment? Or, is that your rainy day fund? Think about how “liquid” you need your cash to be. Paying 3 to 15% down payment may not be so bad. Think of the risk vs. return. Your lender will be the best resource to figure out what’s right for you. Remember, PMI will be removed when you have at least 20% equity in the home. Debunked: A Realtors services are FREE TO BUYERS. This should be the first step in your home buying process because you should start using this free resource as soon as possible. It is the real estate agent’s responsibility to guide you in the right direction. So, find somebody that you work well with and trust to get the answers you need! Find a Realtor who will represent your best interests. You need someone who will consistently look out for your financial interests and keep you up to date on the success of the transaction. The reality is some Realtors will do a lot and some won’t do much at all. Make sure that you choose a Realtor with whom you feel comfortable! You want to feel free to ask any and all questions that come to mind! We’ve all heard of the agent who doesn’t respond to emails, wears a suit 24/7 and has a fake smile plastered on at all times. RUN! Debunked: Rent is expensive! Many discuss rising home costs in Austin, but rent is also going up. So, what is rent? Money you are never going to see again. If you’re financially capable to buy and plan to live in Austin for at least a few years, more often than not, it makes sense for you to buy. Talk to a lender to see what you can afford and run numbers to see how much your monthly payment would be. It could be less than or equal to how much you pay in rent every month. If you want to lower your monthly payment, you may consider getting a roommate, utilizing Airbnb, or short-term rentals programs like Homads. This just takes a little effort on your part. Many people complain about the rising costs of living in Austin, yet they have no intentions of leaving. Wouldn’t it be more productive to look into creative ways of paying less for housing, instead of throwing up your hands and giving up. Debunked: Media loves to hype up the drama. Yes, many properties have multiple offers but there are ways to put yourself ahead of other buyers. Also, depending on the area and price range, you may be the only bidder! There are a few simple strategies that can put you ahead of other buyers and make this experience a pleasant one. Basically it all comes down to being a strong buyer. A strong buyer not only works with a lender and Realtor early on in the search process, but also puts in time and effort for education and planning. Put in the effort to educate yourself on the buying process. Communicate and correspond well with your loan officer and Realtor. Debunked: Again, rent is money you will never see again. Buy yes, Austin does have relatively high property taxes. However, Austin does NOT have state income tax. Most find that with the higher property taxes it comes out to be about the same. The 2.1 to 2.4% range is a pretty average tax rate for Austin but it can be anywhere between 1.8 to 3.3%. You often see 3% or more in new developments; usually this is tacked on toward the infrastructure of the development. In other words, it pays the developer back over time. You can find out how much you will pay in yearly taxes by multiplying the tax rate by the sale price. Again, if you use my home search, there is a mortgage calculator built in that will show you what your mortgage payment is, including the tax rate. Remember, your monthly mortgage payment includes principal, interest, homeowners insurance, and property taxes. The Bottom Line: Do the basic research to find out if it makes sense for you to rent or buy. If you plan on living in Austin for a while, start figuring out the best steps towards homeownership. More often than not it will make sense in the long run.